The six jury members faced a daunting task. Over 500 entries were laid out on tables and pinned to walls in the 32,000 square foot Horticultural Building at Exhibition Place. Deliberations began on April 22nd, and after six days the jury had settled on eight finalists—one each from Finland, Denmark and Canada, four from the United States, and one, John Andrews, who was variously described as Australian (his birthplace), American (he entered while at Harvard) or Canadian (he settled in Toronto.) 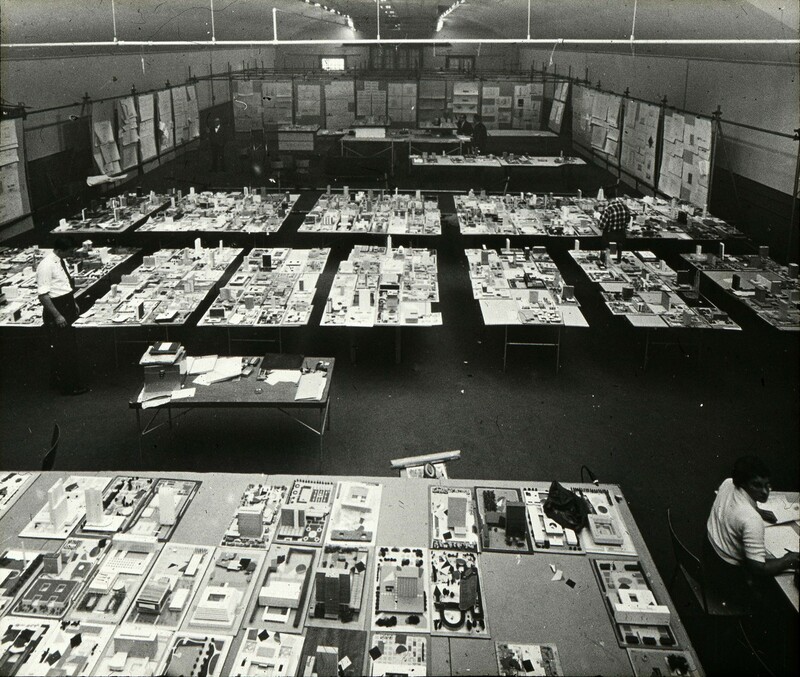 Then came Stage Two, as each of the finalists elaborated on their drawings and models, and resubmitted them. 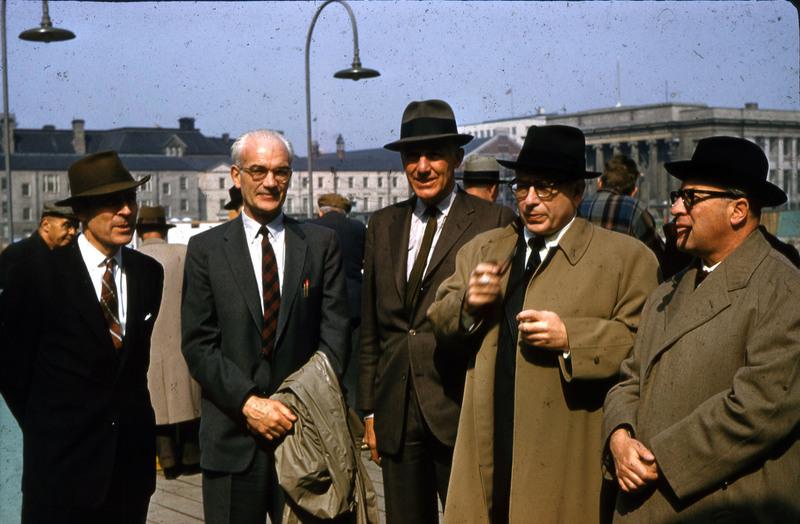 Jury members left to right, Sir William Holford (Great Britain), Gordon Stephenson (Australia), Ned Pratt (Vancouver, Canada), Eero Saarinen (United States), Ernesto Rogers (Italy). In the picture, right, five of the jury members stand on the future site of City Hall. The Registry Building, soon to be demolished, is in the background, right, and Osgoode Hall to the left. Not pictured is Jury Chairman Eric Arthur (the photographer).